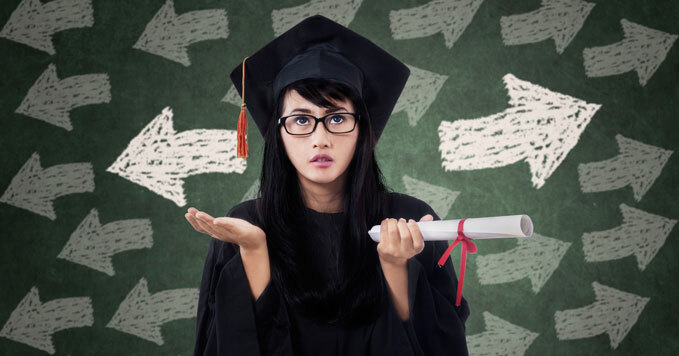 HireMee -- You’ve graduated, what comes next? You’ve graduated with a degree in your hand, a smile on your face, and hope in your heart. You’re going to do what you love, and hope to make a difference in the world. There’s just one question: How? Start searching: Be prepared, mentally. The real world is not all fun and games. You need a thick skin and a lot of patience to get through the job searching process. Even if you don’t ace your first interview, you can learn from the experience. Put together well-thought-out applications, and use a video profile resume, whenever possible. Don’t be afraid of seeking out professional help. A willingness to learn is always an added plus! Build experience: Internships and work experience are always a bonus. Relevant work experience can include anything from shadowing a senior professional for a few weeks to working at an office for six months. An internship is a good way to make your CV stand out, and showcase your experience in the relevant field. It is also a good way to show prospective employers that you’re taking your career seriously, you’re ready to work hard, and you’ve already started building your strengths. Social Media: Make sure your online presence is clean. Nowadays, recruiters take a look at your social media pages. Your Facebook, Twitter, and LinkedIn should be up-to-date. You should have an active presence. If you think you have nothing to hide, Google yourself, and scrutinize your profiles from a professional perspective. Delete any old embarrassing relics from YouTube, and spruce up your online brand. Know the industry: Apart from researching the companies you’re applying and interviewing for, you should know your industry well. Have an understanding of the political and economic context of the industry you aim to work in. Be aware of the latest developments. Most importantly, be sure of where your prospective employer fits into in the industry, and what your role will be. Be updated: Keep up with the current affairs. Be tuned to the local and international news. In between applying and interviewing for jobs, consume as much news as you can. It is very common for employers to ask questions about the general news during their interviews. It is very easy to put a lot of pressure on yourself when you graduate. However, keep in mind that this is the time to experiment. Learn from your mistakes. The key qualities you need to portray are enthusiasm and passion. Think about the reasons you’re applying for the job and remember to showcase what you offer that someone else doesn’t.